Merry evening friends! Hope that you all had a very Blessed Ostara. I know I did. It was just a simple meal and a simple ritual but meaningful. Did any of you try any of my recipes? If you did, please let me know! I’d love to hear about it. I made my Dilly egg salad for lunch and it was yummy! Beautiful isn’t it 🙂 I have seen a lot of complaining about Winter being so long, Spring to slow to come etc. I hear ya! I too can’t wait to lighten up my clothes, work in my garden, get outside!! But I believe that Mother Earth knows what she needs more then we do and we should let her just do what she needs to do!! Complaining won’t change it anyway..right? I say make the most of each day, no matter what the weather and do something fun to enjoy it. I made sure to collect some snow water and some nice-sized snowballs. I will love pulling those out in the heat of the Summer. They will be great to let the grandkids play with them, take a chunk and let it run down my hot neck, or use it to make a slushy margarita!! (Thanks Mike for that idea 🙂 To me, everyday is magickal if you look for it….now stop complaining! LOL!! Spring..it’ll get here. 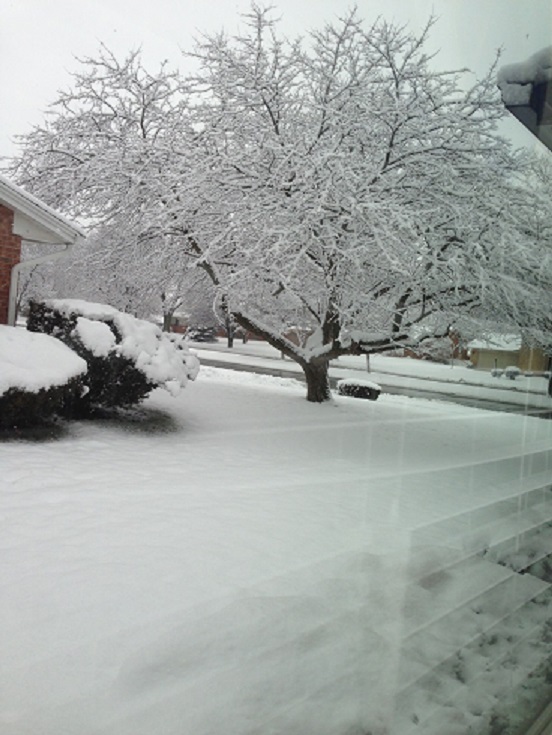 We already see the snow melting and will be in the 50’s for a couple days this weekend. In the meantime, I am planning my garden, getting my lighter clothes ready, and perusing my cookbooks for lighter, healthier meals. I can’t wait to put my hands in the dirt and my face to the Sun and my back to a tree 🙂 I know that is what you all are ready for too! Take heart…it’s coming!! Oh, and Blessed Full Moon to you all!! May the Goddess shine Her light and energy on you…always! 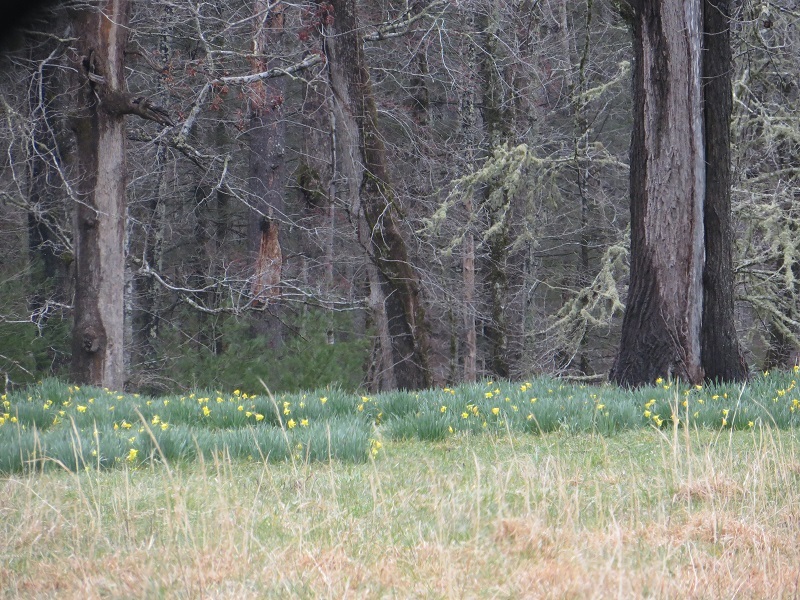 The Wheel Turns to Ostara 2013……. Ostara is on March 20th this year. 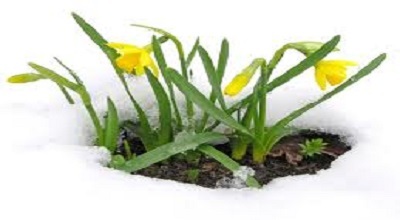 The first day of Spring..the Equinox. Ostara for me always means new beginnings..a fresh start…and knowing that in no time I’ll be working away in my yard and gardens! This year I’m even more excited because I have a whole new yard to plan and design flower beds, garden beds, and landscaping for! I’ve already been jotting down what bushes, trees, flowers I want to add to the yard. 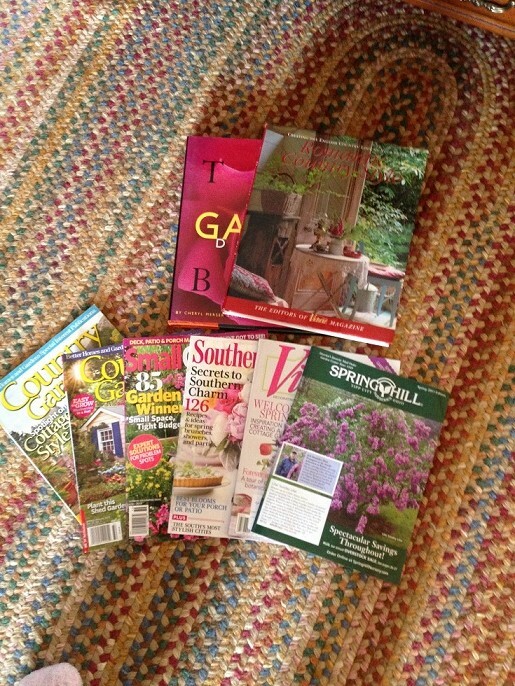 I’ve been perusing garden catalogs and magazines looking for fresh ideas. We have a smaller yard here..much smaller then the 2.5 acres we had before. But we have more sun and I can garden to my hearts content in a smaller, maxed out space that I can handle without killing myself LOL. We will be extending our patio, putting up a privacy fence first. Then beds will go in around the inside of the fence..possible a raised bed for veggies and herbs and of course pots everywhere. We already have a cute garden shed and I’m putting in a clothesline that I’m sooo excited about having again. There is nothing better then the scent and feel of bedsheets hung outside to dry! Big plans…can’t wait to have the weather break to start executing the ideas! I will get a chance to experience a bit of Spring early because I’m leaving for Tennessee Monday for 5 days where it is warmer and Spring is blooming there already! It’ll be nice to shed the winter coats and soak up some warmth there. I love the Smoky Mountains as anyone who knows me knows…and I am in spiritual need of seeing them and being in them!! It’s been 2 years due to my health issues and my daughter’s and our move and long overdue. *Sigh* …it’s my 2nd home…feels so peaceful and calm when I’m there. Pure Bliss! Now back to Ostara…it’s a great time to think about planting seeds to grow indoors, depending on where you live. Don’t forget to bless those seeds to grow strong and healthy and magickally before you plant them! It’s a great time to do your Spring cleaning if you haven’t already. 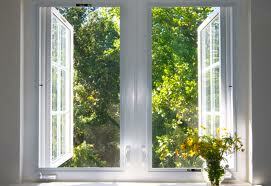 Clean your windows and window coverings, shake out rugs or have them cleaned, freshen up worn out throw pillows, fluff cushions, clean out your fridge, organize your pantry and on warm days..throw open your doors and windows and air out that stagnant, old air in your home that’s been brewing all Winter! Put away your heavy quilts and throws and lighten up for Spring! Put away your winter woolies and pull out your lighter clothes. Dust out the cobwebs and dust bunnies. You’ll feel so much lighter when everything is clean and fresh! Spray 6 (2 x 2inch) round cake pans with non-stick cooking spray with flour. Set aside. In a large bowl, combine butter and sugar. 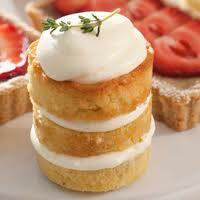 Beat at medium speed with an electric mixer until light and fluffy, 3-4 mins. Add in eggs, one at a time, beating well after each addition. Add vanilla, stirring to combine. Bake until a toothpick comes out clean, 16-22 mins. Cool in pan for 5 mins, then transfer to a wire rack to cool completely. Wrap cakes tightly with plastic wrap, Freeze until firm approximately 2 hours. Cut each cake into 3rds horizontally. Place the Lemon-Curd whipped topping in a pastry bad with a medium round tip. Pipe the topping between the 3 layers of cake and stack them. In a medium bowl, gently fold together all ingredients. Transfer to an airtight container. Refrigerate for 2 hours before using. *This sounds like a bit of work but I think it’s so worth it!! Sounds so refreshing and so pretty too! In a small bowl, whisk together the olive oil, vinegar, apricot nectar, shallot and salt. In a large salad bowl, place lettuces, top with apricots, almonds and onions. Serve with vinaigrette. Well I’m off to peruse my garden mags and books and catalogs some more 🙂 Hope you all have a wonderful weekend and know that Spring..at least in the Northern Hemisphere..is on it’s way!! Get ready!!! dreams of its wintry rest.